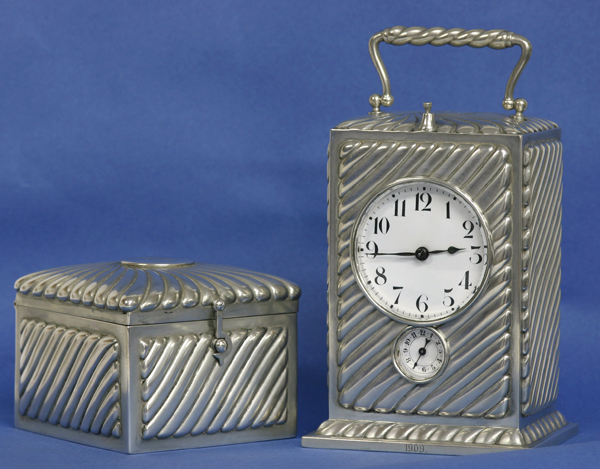 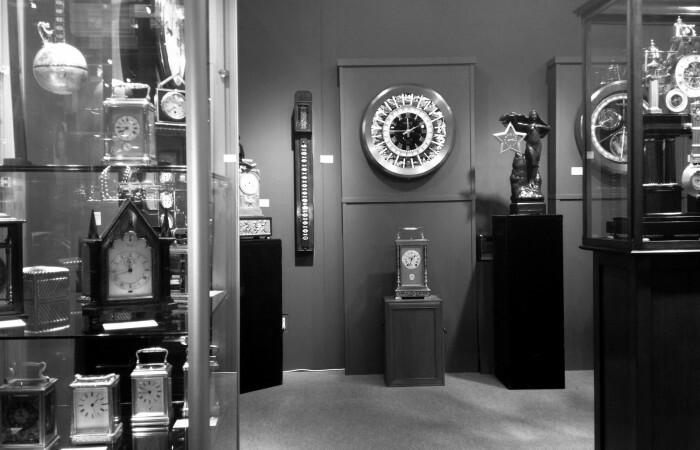 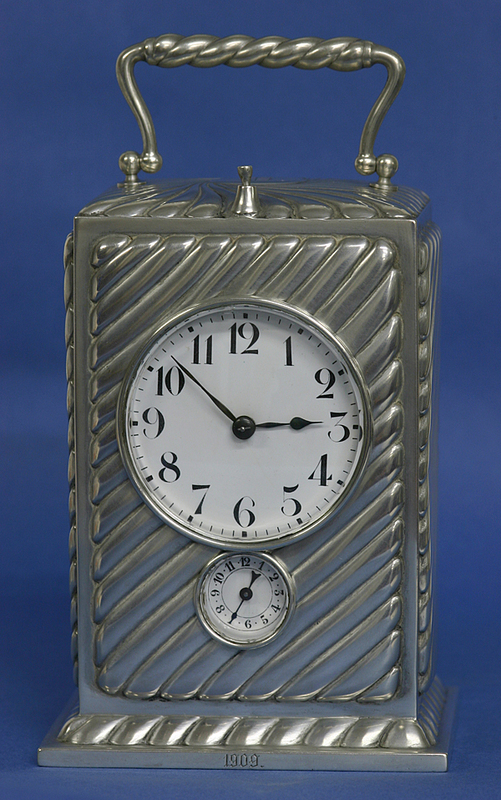 Both the well-lettered white porcelain time and alarm dials have Arabic numbers for the hours and blued steel hands. 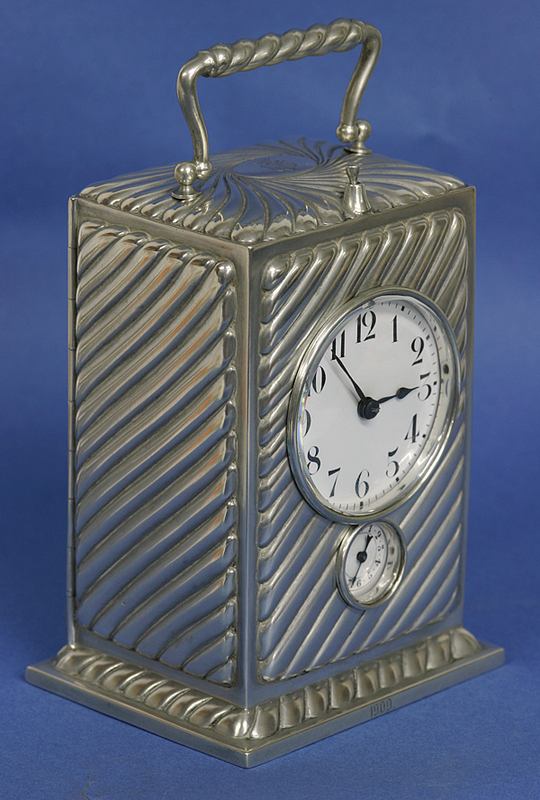 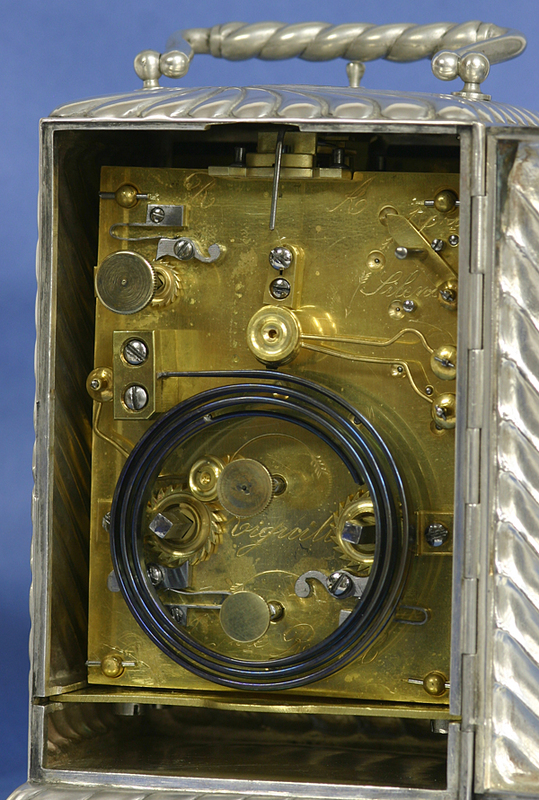 The eight-day quarter striking with alarm French carriage clock movement is set and wound off the backplate, has a strike silent lever in the upper corner, has all the engraved indications in French and still retains the original balance platform. 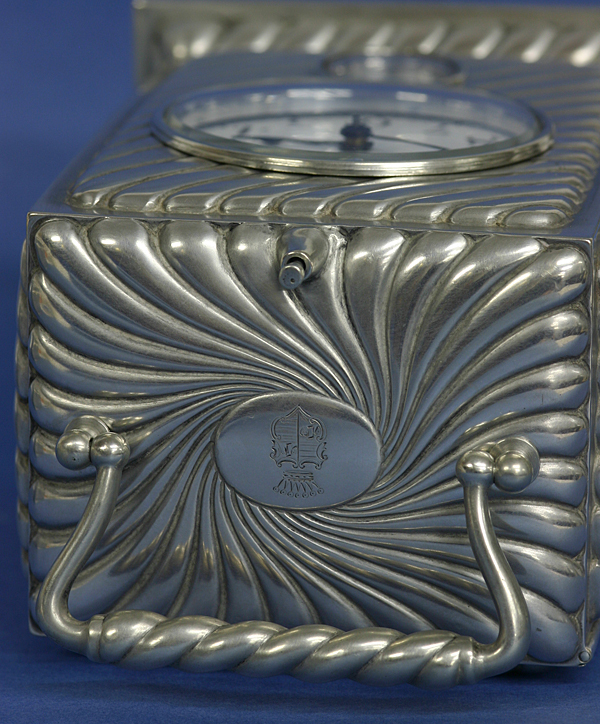 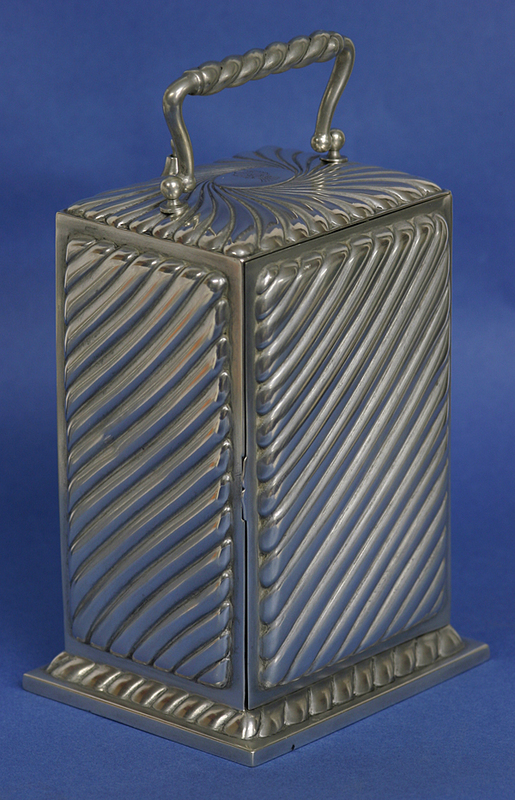 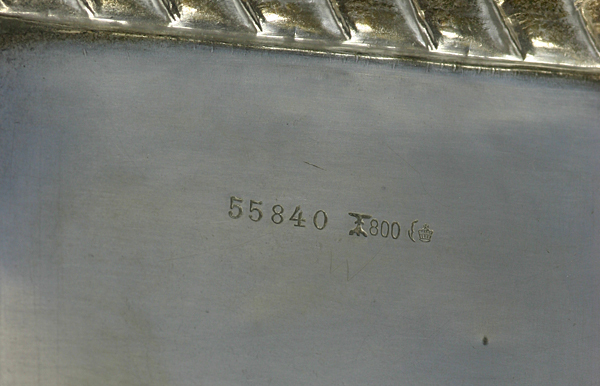 The German silver case is hallmarked by Koch and Bergfeld and is numbered, ‘55840’ and dated ‘1909’. 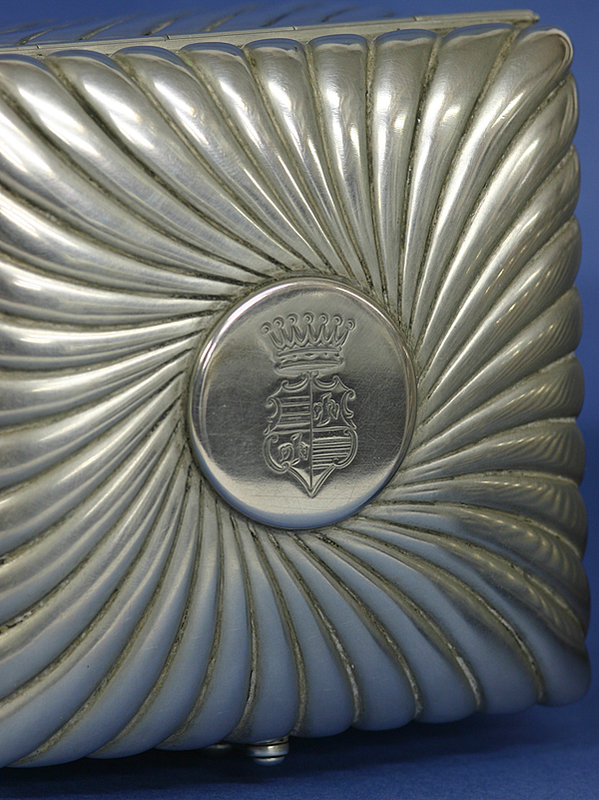 The matching box is dated 1905 and they both carry matching engraved crests.